It may be a bit late in the season for tips on Christmas decorating but I wanted to share a few quick tips with you and I am just now getting around to doing it. While I tend to go all out and haul multiple boxes of Christmas decor out of my basement and deck every surface of my home with holiday glitter and greenery, nativities and ornaments, there are many ways to add some Christmas cheer that are much simpler and take almost no time at all. 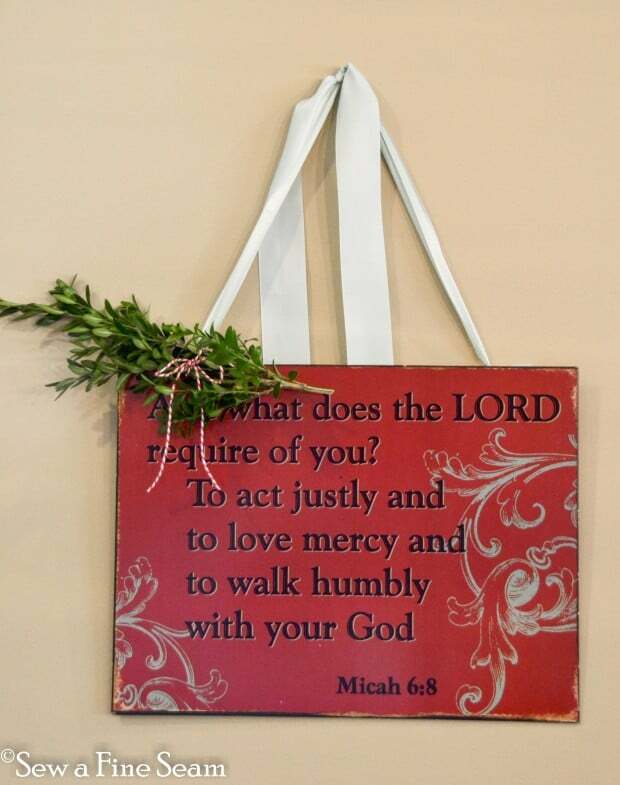 This piece of art was already hanging in my friend’s home – all I did was tie the boxwood to the ribbon holder. I used red and white striped baker’s twine to secure the boxwood. 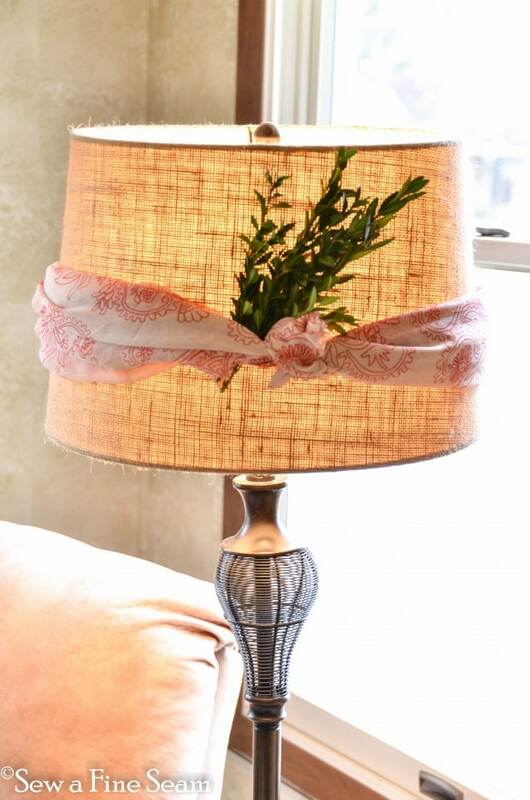 Vintage Wood hangers and a metal tag don’t look like Christmas decor on their own – but add some red and white ribbon and a piece of greenery and it immediately looks like Christmas. If you have greenery to cut on your property or have friends or family who do – you can add it here and there for free! I purchased cut boxwood – there are many places to buy fresh-cut greenery if your budget has room for Christmas decor. Home Depot and Lowe’s carry some as well as some nurseries – check around your area and I’m sure you can find some. 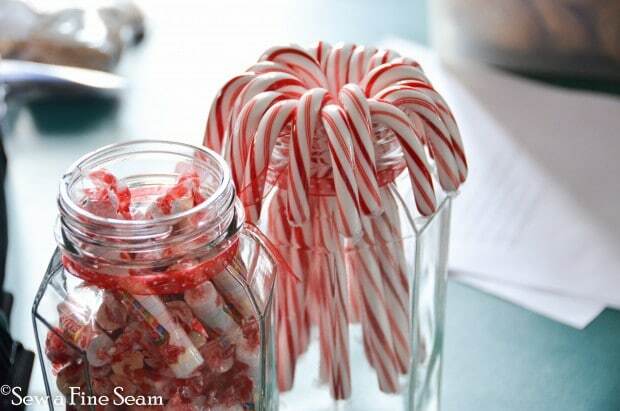 Candy canes in a jar are a quick, easy, inexpensive way to announce to anyone who enters your abode that it is Christmastime. 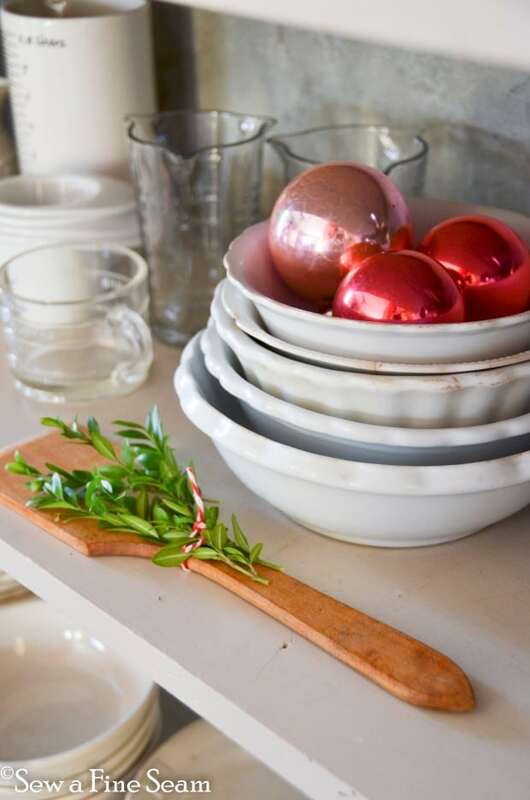 Add some ornaments to a bowl that is already on some open shelving. A great place to get cheap ornaments is goodwill or your local thrift stores – the vintage ones especially go cheap – and they are my favorite! 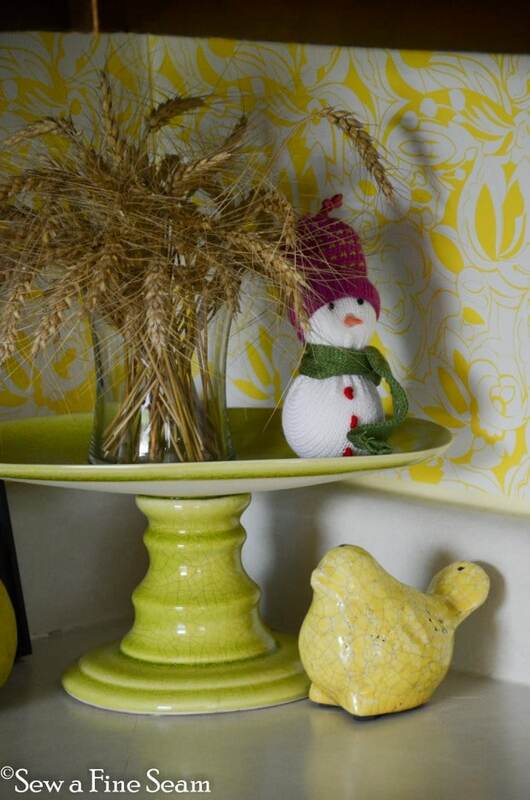 Tuck a small ornament in an unexpected spot for some Christmas cheer. Or have your child/grandchild make you some Christmas crafts to display. 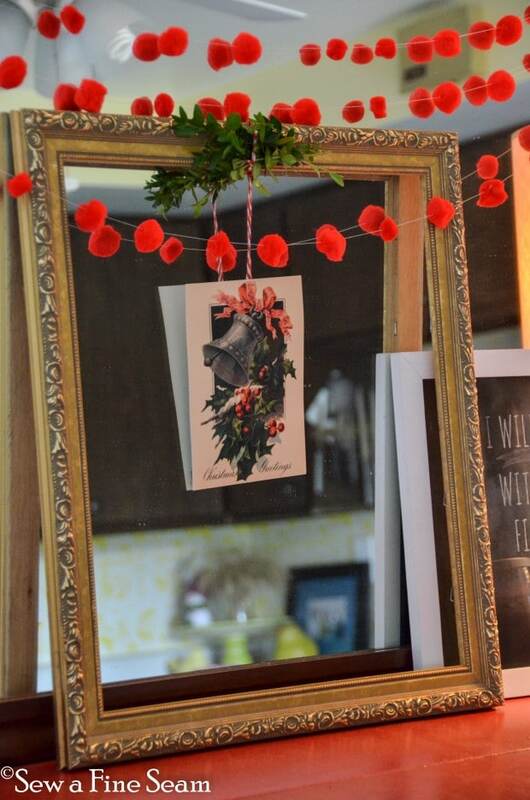 Keep your favorite cards you receive in the mail and hang or tuck them here and there for instant charm. Have a vintage folding tape measure? Fold it into a crown or star shape and display on you mantel or a shelf. 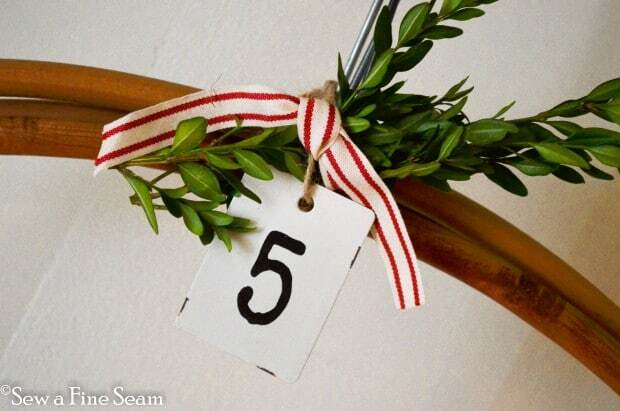 Tie some red ribbon on one side or add some sprigs of greenery to add to the festive look. 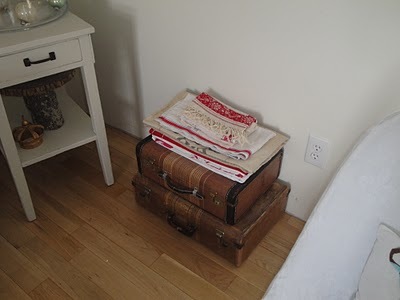 A stack of vintage table linens in reds and whites can be a Christmas decor touch too. Lights are my favorite. At $3 per box for 100 lights they make anything look like Christmas. I love lighting up my cupboards, shelves, wherever I decide to string them. 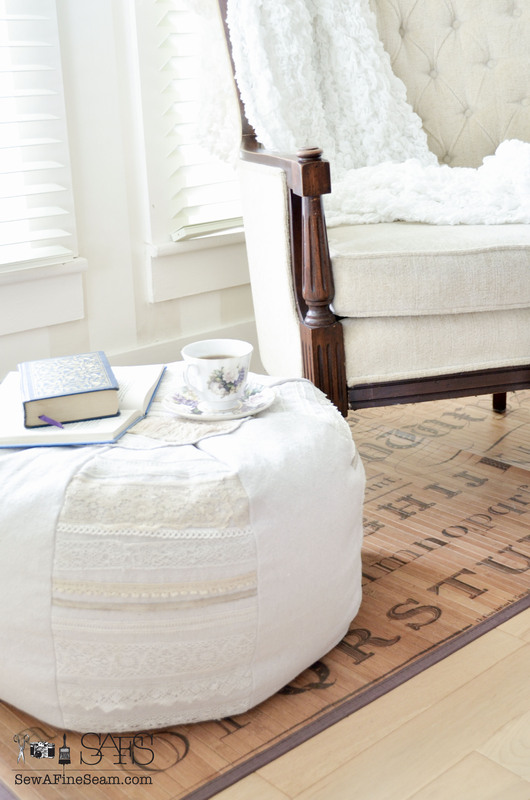 Add to what you already have in your decor. I made the scarf for my deer out of an old sweater. 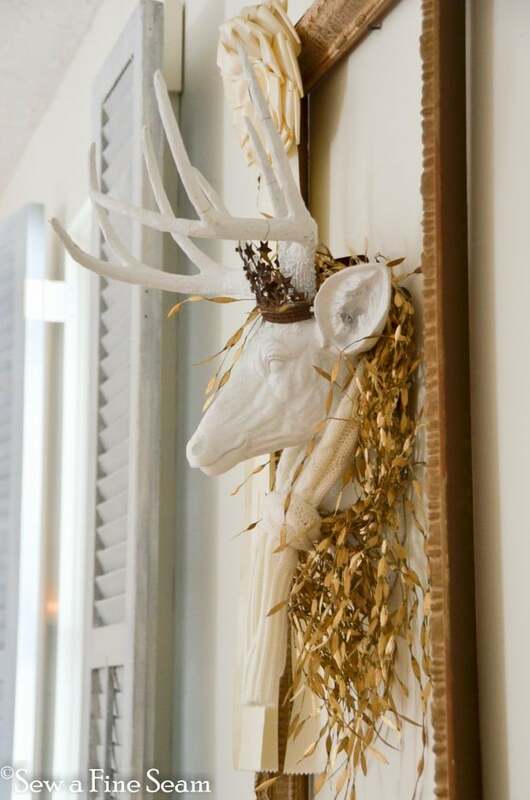 The gold garland I found on sale last year after Christmas. The tiara I use year round. You don’t have to go out and spend a lot of money to make your home look festive. 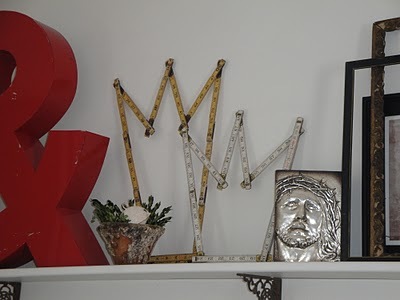 Use what you have – move it around and create new displays – find some sticks from outside and string lights through them. Cut greenery – even if you have to find some back roads with bushes and weeds you can cut from! I hope you are all ready for Christmas and ready to relax and enjoy the season with your family and friends! 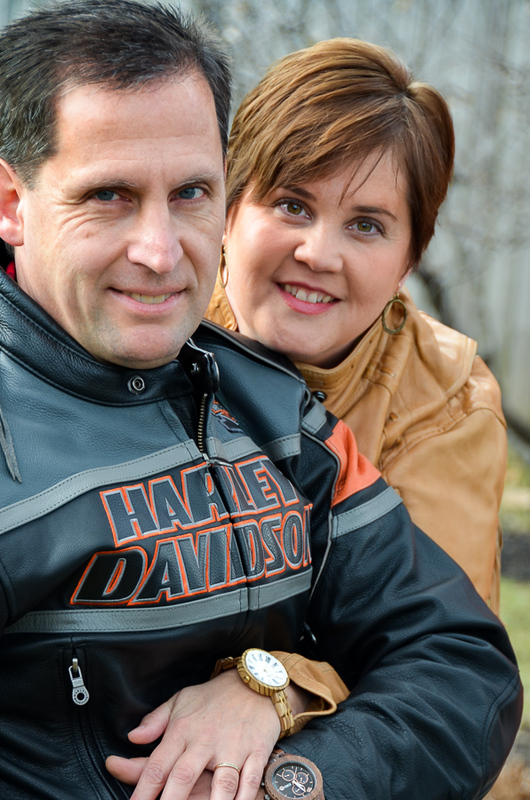 Great post Jill, you pointed out some places and things we can do quickly and cheaply. 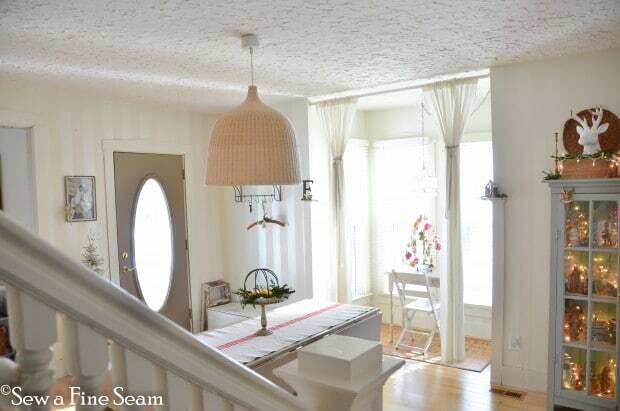 Not everybody wants or can go crazy with decoration. I find every year I want to do less and less. I love to make things but having to take it all down, put away puts me off more every year. Our living room is quite small and filled up already so when I put up too much I feel very hemmed in.